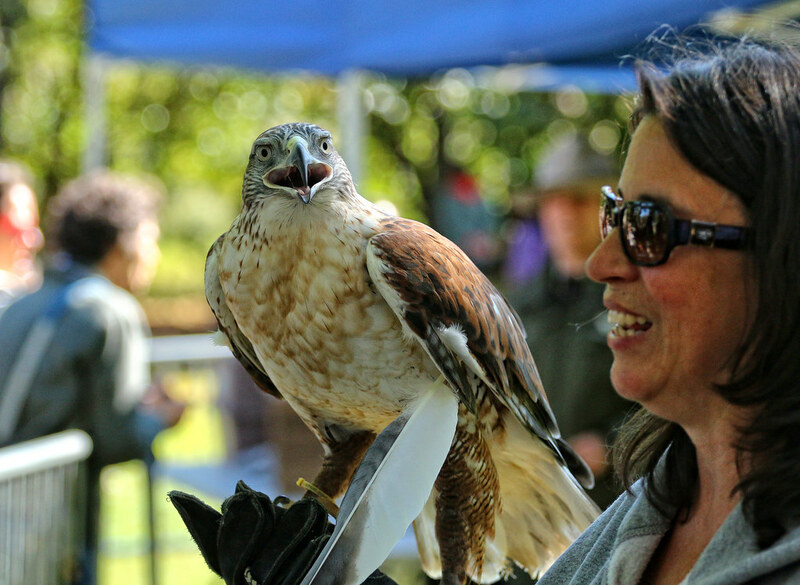 I ventured out to Prospect Park this last weekend for Raptorfest, an event organized by the Urban Park Rangers. 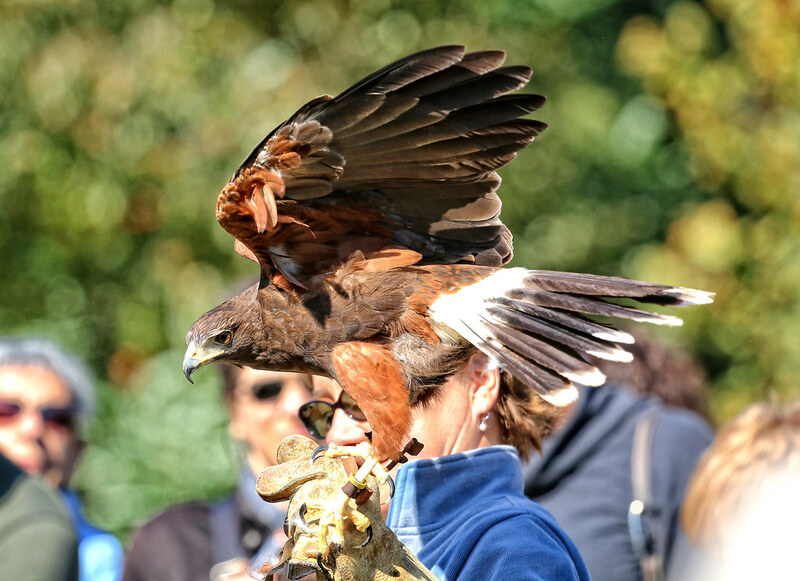 It was a great opportunity to meet some beautiful birds up close. 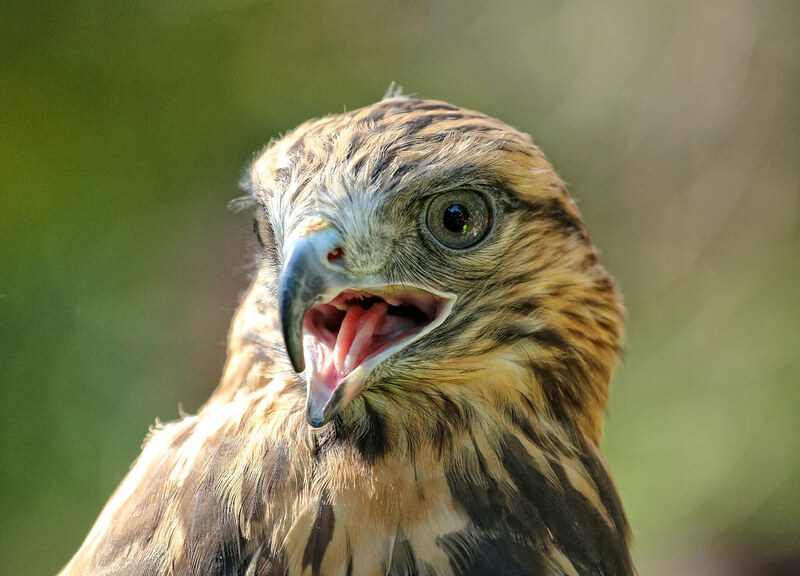 And this sweet rough-legged hawk. ...by flying through this guy's arms. 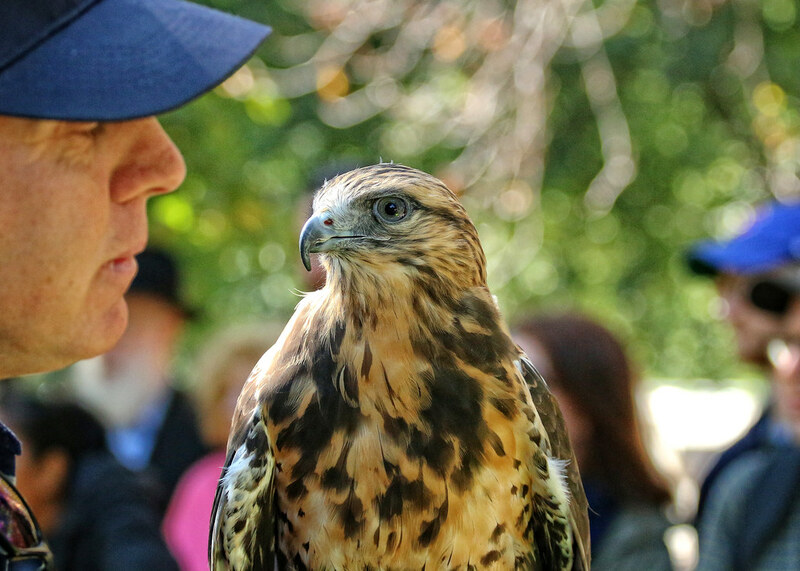 Here's a familiar red-tailed hawk, and the very same Ranger Rob, who rescued our local Christodora hawk fledgling (Shaft!) from an air shaft this last June. 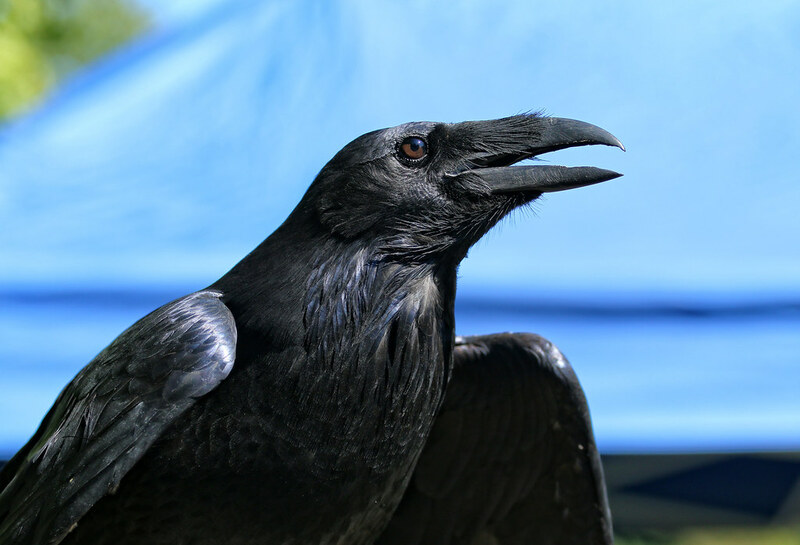 I liked this plucky raven. This kestrel knows he's a superstar. 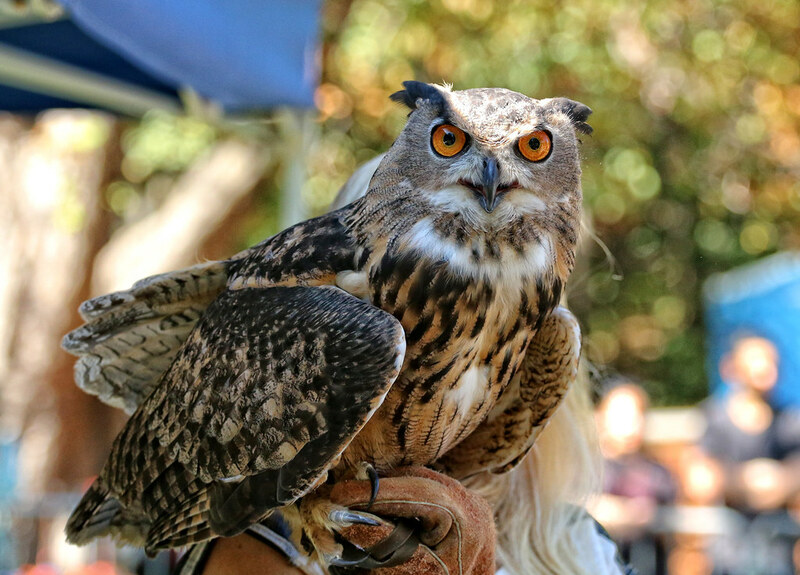 One of the biggest highlights was this Eurasian Eagle Owl. 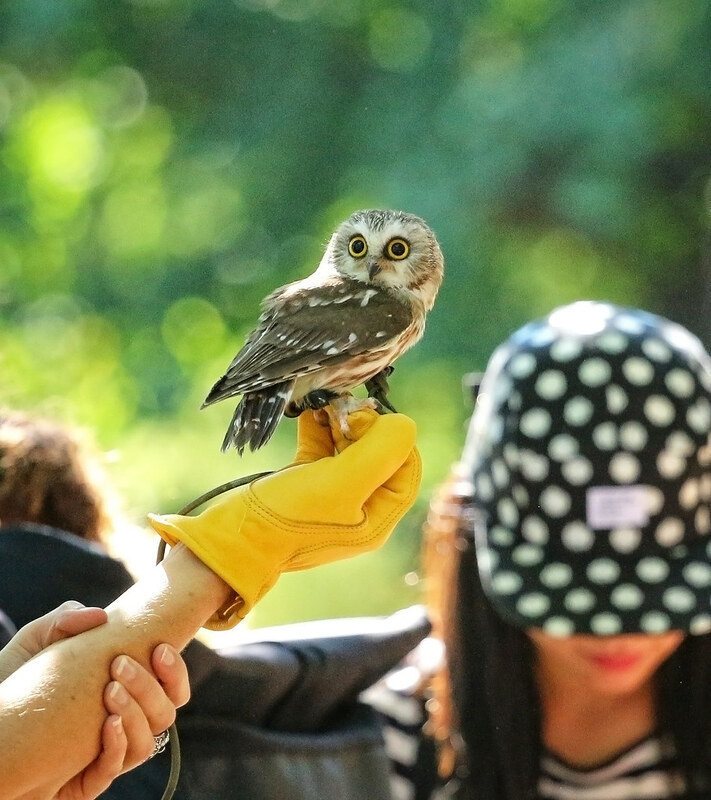 But this little saw-whet owl really stole the show. 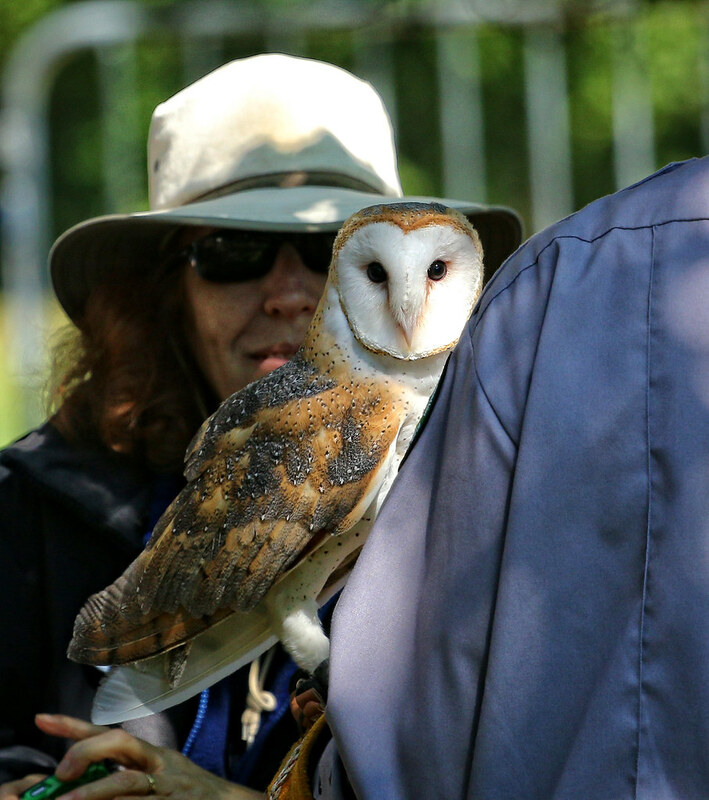 All the birds were in the care of Wildlife in Need of Rescue and Rehabilitation (WINORR). Do check out their Facebook page to see the wonderful work they do to care for sick and injured wildlife. Thanks to the all the park rangers and volunteers who made this event happen. 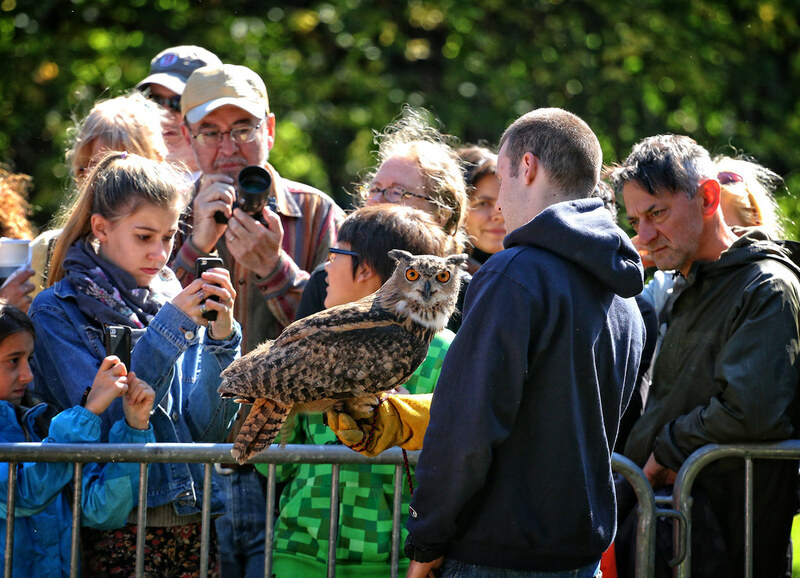 See many more Raptorfest photos here. These are really beautiful photographs, and bring back good memories. When I was a child, a barn owl baby fell down our chimney (summer, thankfully) but was reunited with its mother without problem. I got to hold an extremely angry eagle owl once - a rather scary experience - and am not very partial to them. I took part in imperial eagle demo flights a few times - felt like a feudal lord or something! - and I trained a beautiful little kestrel. The falconer I worked with rehabbed a lot of injured birds, and it was always exciting releasing them back into the wild. 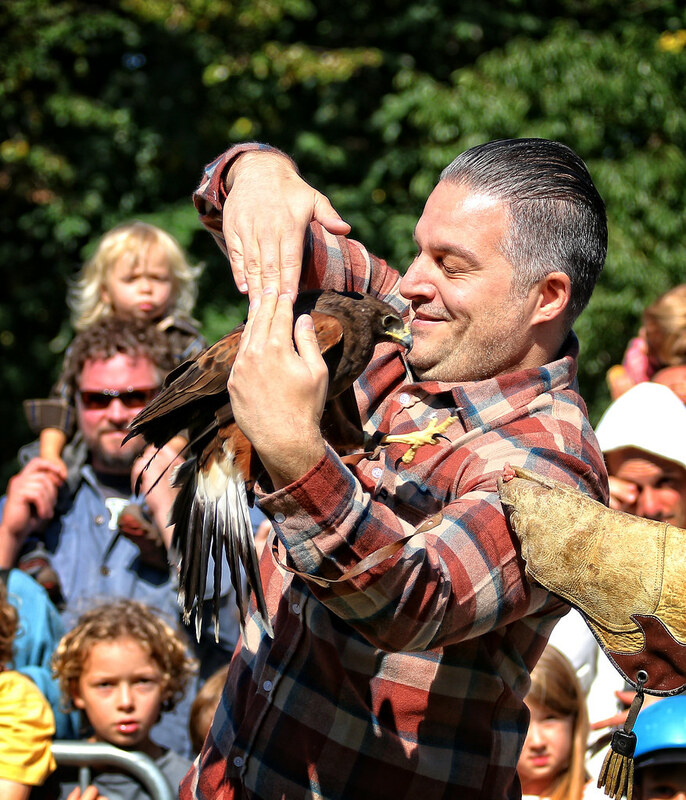 You should definitely go volunteer / train at a falconry center. So exciting. 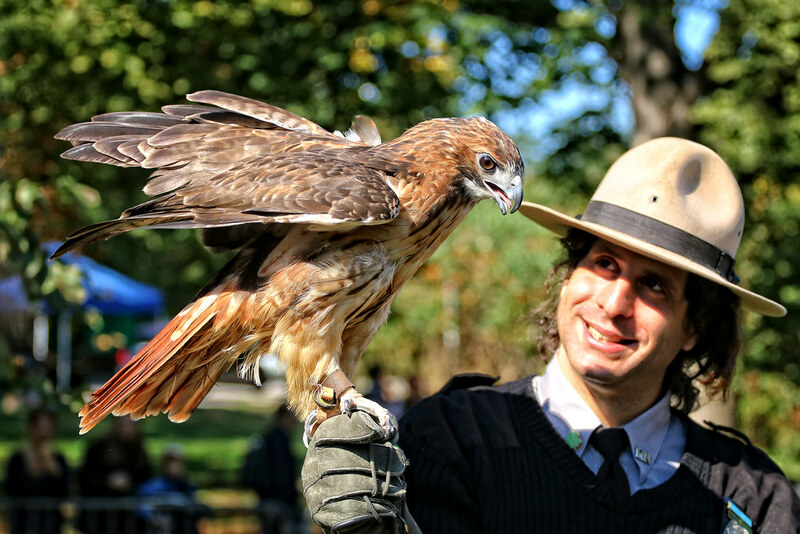 Oh, and not raptors, but next time you're in Brooklyn come and hang out with the Greenwood parrots!